Success Tweet: Create a vivid mental image of yourself as a success. This vivid image will keep you motivated and moving forward when things get tough. 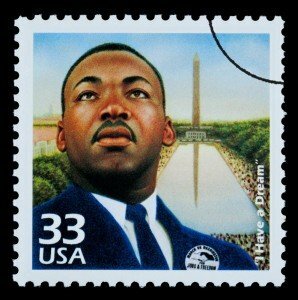 Dr. Martin Luther King is one of my personal heroes. He helped lead our nation out of the dehumanizing segregation policies that flourished in the post civil war period. I believe he, more than any other single person, was responsible for the passage of the Civil Rights Act of 1964. Today a black man is president of the USA United States. This would have been unthinkable on August 28, 1963, the day Dr. King delivered his famous speech, “I Have a Dream.” I bring up Dr. King and the “I Have a Dream” speech because it is the embodiment of a vivid mental image of success. Read the words below and see how they so clearly describe Dr. King’s vivid mental image of success, for himself and the nation. “I have a dream that one day, down in Alabama, with its vicious racists, with its governor having his lips dripping with the words of "interposition" and "nullification" -- one day right there in Alabama, little black boys and black girls will be able to join hands with little white boys and white girls as sisters and brothers.